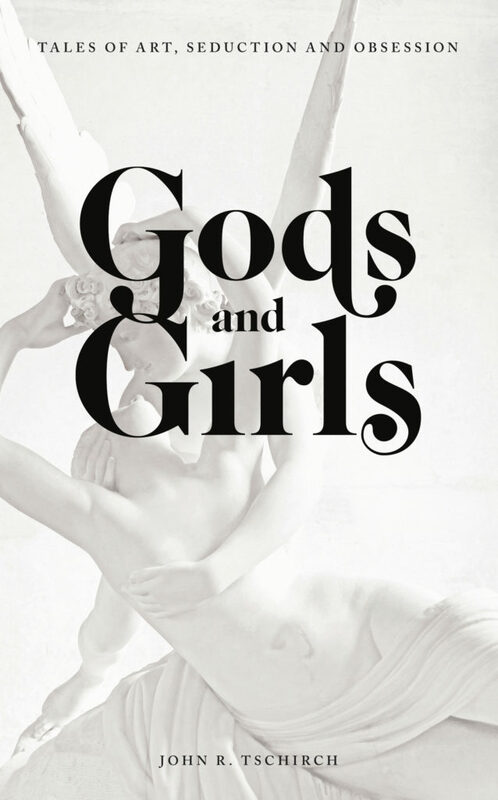 Welcome to the world of castles, gardens, gilded rooms, works of art and the stories they tell about people and places from times past. The rose has an honored place in the artistic and cultural life of France. From the rose windows of Gothic cathedrals to the poetry of the Renaissance and the elaborate gardens of French chateaux, the rose has symbolized love, purity and passion. Roses thrive in the gentle climate of the Loire Valley, where they have been cultivated for centuries. Due to the varied regions of France, several types of roses are produced throughout the country. The celebrated flower has been used as a symbol of the Virgin Mary, the inspiration for poets, the motif of queens and mistresses and the pride of famed botanists. In my forthcoming novel, Beauty’s Hero: The Story Behind the Tale of Sleeping Beauty, the rose plays a central role in this story of love, loss and renewal. Below are images and poems that appear in my story, due out in the winter of 2017. 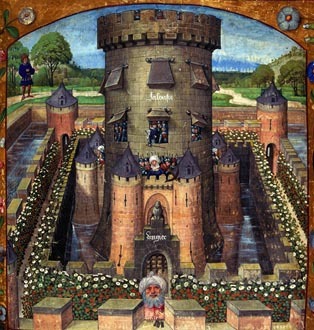 The Tower of Jealousy from the Romance of the Rose. The 12th century poem uses a rose as the object of a young man’s desire in this most famous of Medieval romances. A symbol of a young maiden’s beauty and purity, the rose is guarded in a tower of jealousy surrounded by a moat bedecked with roses. IMAGE: WIKIMEDIA COMMONS. PD. ‘Sweetheart, let us see i the rose that this morning opened her red dress to the sun, this evening has lost the folds of her crimson dress, and her complexion similar to yours. 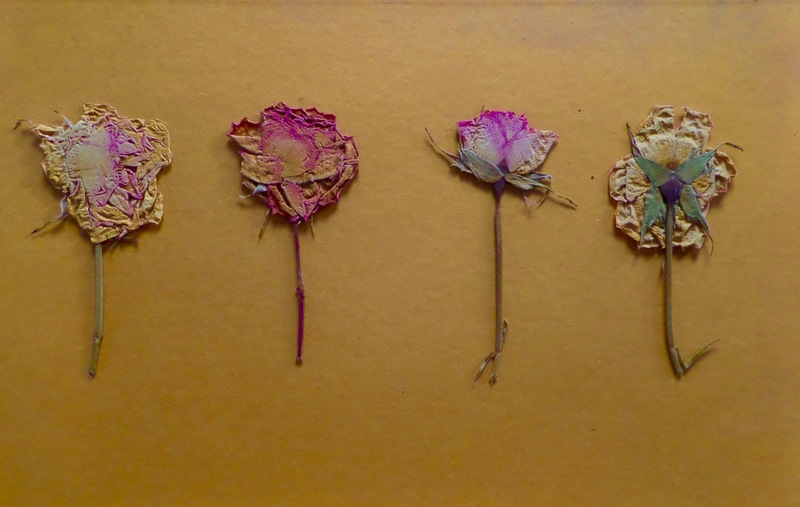 Ah, Sweetheart, see how in a few hours, the petals of her flowers all have faded, fallen, died. 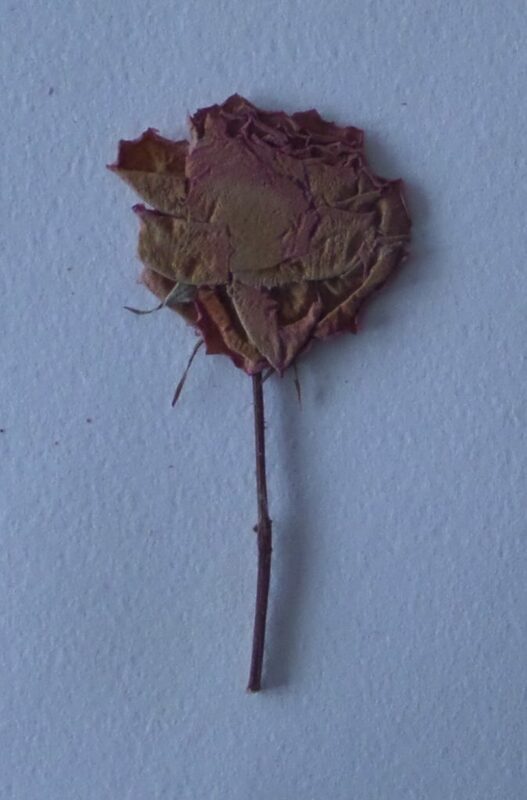 Sad nature, mother ruinous since such a beautiful flower only lasts from dawn til dusk. The Rose standards of Chenonceau. 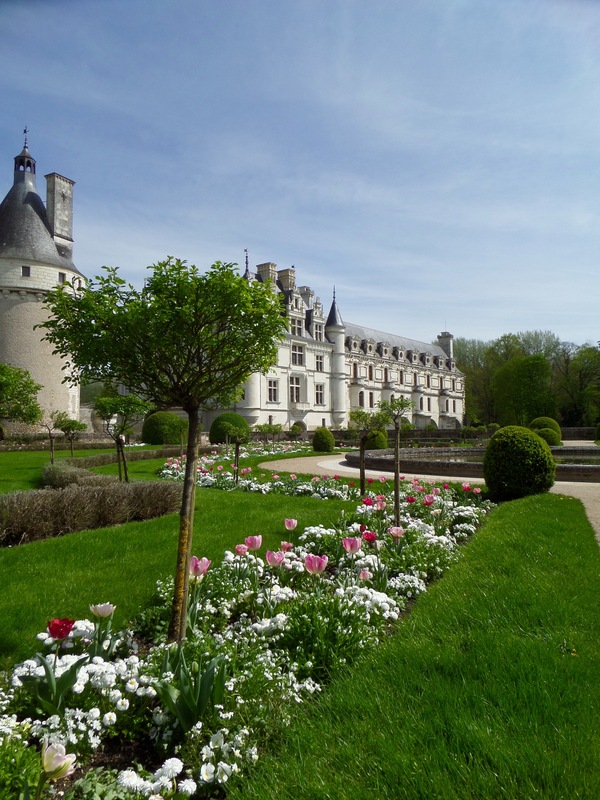 Diane de Poitiers, mistress of Henry II, created the gardens of Chenonceau. After the King’s death, his queen, Catherine de Medici, evicted the mistress and took over ownership of the chateau. She added to the gardens, which became the backdrop for lavish court spectacles. Due to its association with powerful women of the French royal court, Chenonceau became known as the “Chateau of the Ladies,” a place of remarkable beauty and seduction famed for its exquisite roses and various blooms. PHOTOGRAPH: JOHN TSCHIRCH. 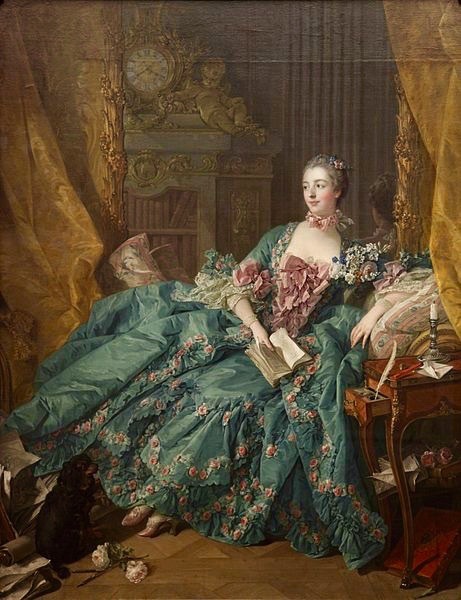 Portrait of Madame de Pompadour by Francois Boucher, 1756. The mistress of Louis XV, Madame de Pompadour reigned supreme in the arts of love. In addition to her renowned beauty and charm, she was well read and a major patron of the arts. She is depicted in this portrait in gown decorated with roses. In her gardens of the many chateaux the King built for her, she cultivated the finest roses. The delicate blooms also appeared on the Sevres porcelain so highly prized by Madame de Pompadour. IMAGE: WIKIMEDIA COMMONS. PD. 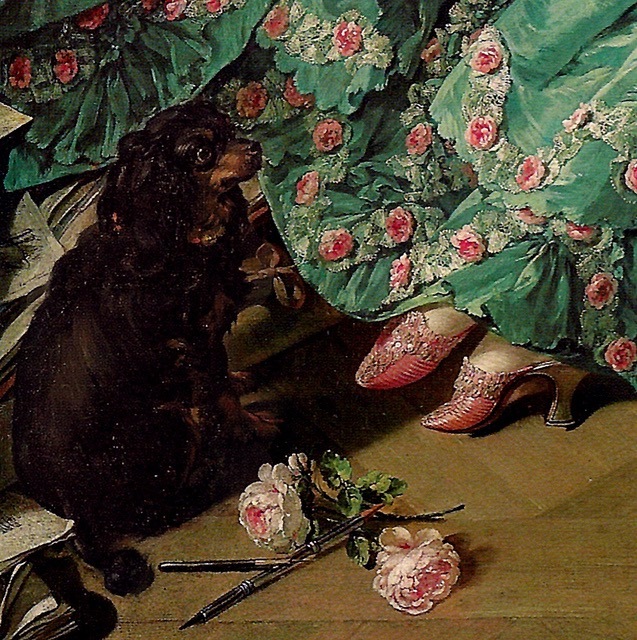 Detail of the portrait of Madame de Pompadour by Francois Boucher. Roses at the feet of Madame de Pompadour. 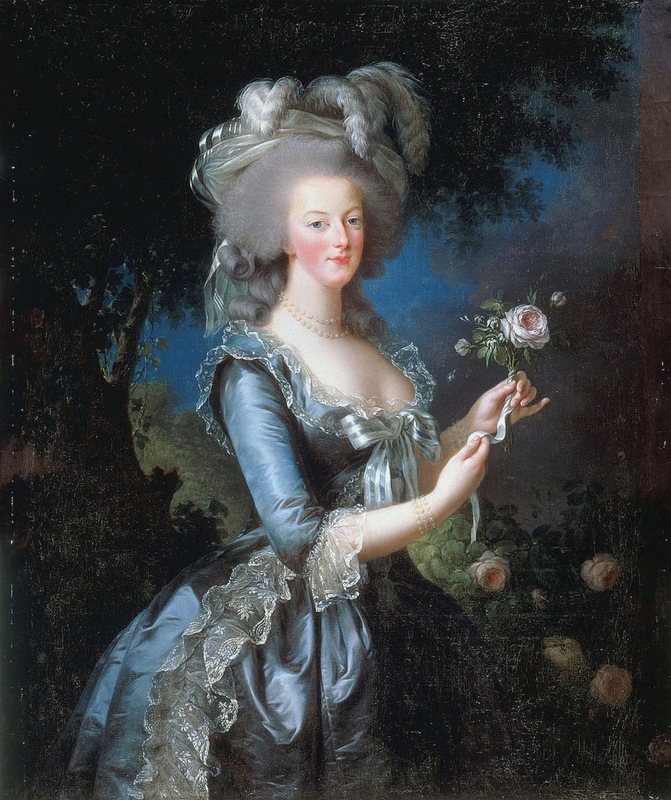 Could these blooms symbolize the passion of Louis XV for his mistress? Paintings of this period were rich in subtle imagery and innuendo. IMAGE: WIKIPEDIA COMMONS. PD. Portrait of Marie Antoinette by Elisabeth Vigee-Lebrun, 1779. The queen holds a simple, perfect rose in her hand, a symbol of purity and virtue. IMAGE:WIKIMEDIA COMMONS. PD. 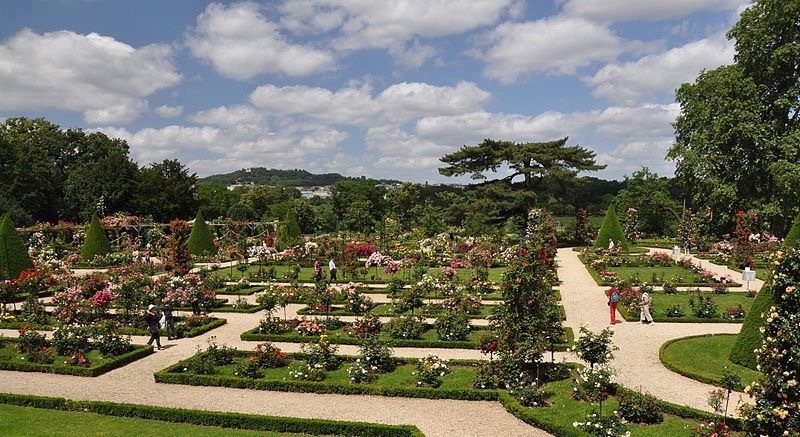 View of the rose garden of the Parc du Bagatelle. Purchased in 1775 by the Comte d’ Artois the brother of Louis XVI, Bagatelle became on of the most celebrated gardens in Paris. PHOTOGRAPH: WIKIMEDIA COMMONS. PD. Illustration of the rose variety known as “Souvenir du Malmaison” by Pierre Joseph Redoute, 1824. The Empress Josephine developed one of the finest rose gardens in Europe at her country estate, Malmaison. 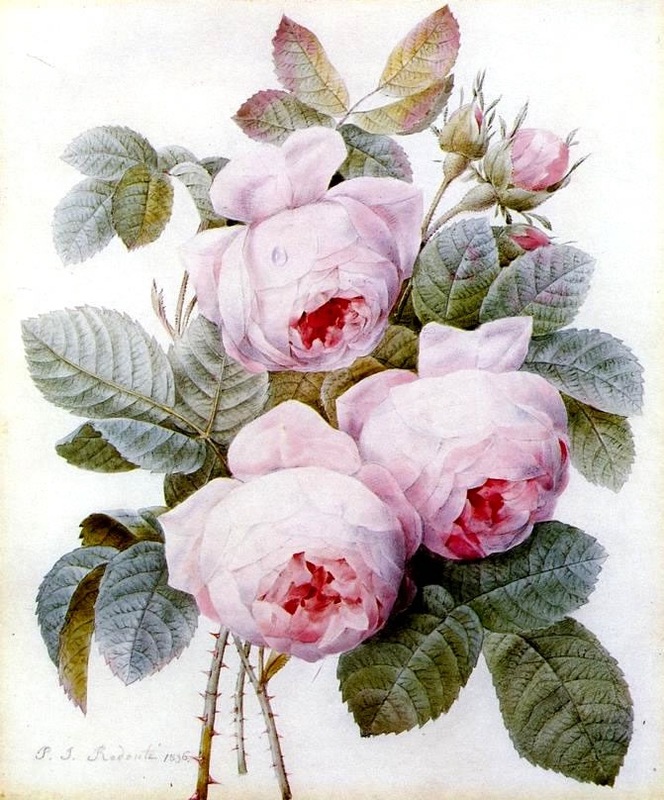 Redoute’s superb illustrations of the roses of Malmaison are mong the finest botanical images ever created and continue to be reproduced today. PHOTOGRAPH: WIKIMEDIA COMMONS. PD. These flowers were collected by me over the years on my travels to legendary French gardens.. LEFT TO RIGHT: 1. ROSE FROM THE PETIT TRIANON AT VERSAILLES; 2. ROSE FROM THE CHATEAU OF CHENONCEAU; 3. ROSE FROM THE PARK MONCEAU, PARIS; 4. ROSE FROM THE CHATEAU OF VILLANDRY. PHOTOGRAPH: JOHN TSCHIRCH. This entry was posted in Uncategorized on August 7, 2016 by John Tschirch. Sign up for monthly blog postings. I never share your email or send spam. Cheers! 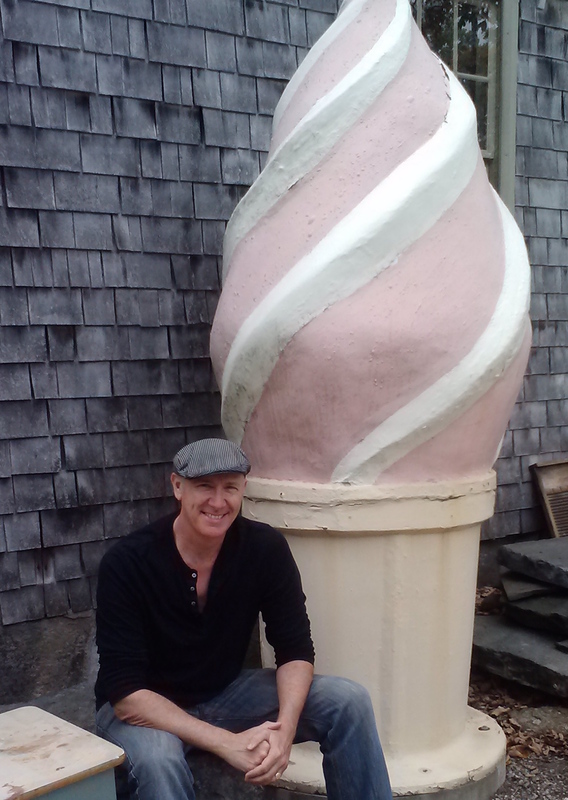 For past blog posts, see John Stories on Facebook and Twitter, click below.